As the Senior Strategist to AWP since 2005, Cabengo’s principal, Hillary Leone, has been instrumental in conceptualizing AWP’s story of social change, from its roots as a national nonprofit to its current evolution as a network of catalysts. Her rigorous design thinking coupled with a keen eye and ear for effective storytelling has helped guide AWP’s organizational strategy and shape its public narrative over the course of a decade. Equal parts thought partner, writer, designer, and producer, Hillary has helped AWP transform its vision into strategy and its strategy into effective communication, across channels. Among her contributions, she has designed multiple websites, print collateral, environmental graphics, and events; co-authored articles, blog posts and reports; conducted primary research and analysis; and co-created long-term strategy. Most recently, she produced the the Better Work, Better Life celebration, honoring the one hundred non-profit organizations that met AWP’s campaign challenge to adopt paid leave and/or formal flexibility policies. The event was meant to be fun and festive, a gracious celebration that publicly marked a significant milestone and moved people to further action. Hillary crafted a dynamic and cohesive event experience, from concept to execution. She designed a series of interlocking wall graphics that set the celebratory tone, expressed key messages, and positioned each organization’s success as a part of the collective movement. She carried the graphic theme through to collateral elements, including a compact, elegant brochure and custom-fabricated LED-centerpieces that created a sense of intimacy and magic. 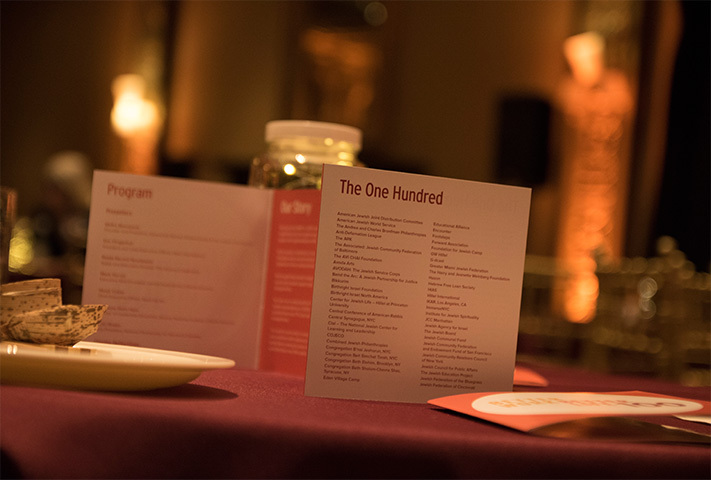 To engage guests as participants rather than observers, she designed two interactive elements: a participatory celebration wall with teen activators and a surprise poetry flash mob, with live beat boxing. Art and poetry and the fight for justice came together in a rousing original piece that brought people to their feet. For the next day’s convening on gender equity, Hillary helped shape the narrative for the day-long event, designed all graphics, produced a 4-min video and created an original tool to help participants visualize and map their own path for change.